Dubai Design Week — an annual event celebrating and promoting design and creativity — took place earlier this month, with imaginative minds from all over the world competing for the coveted Progress Prize at the Global Grad Show. 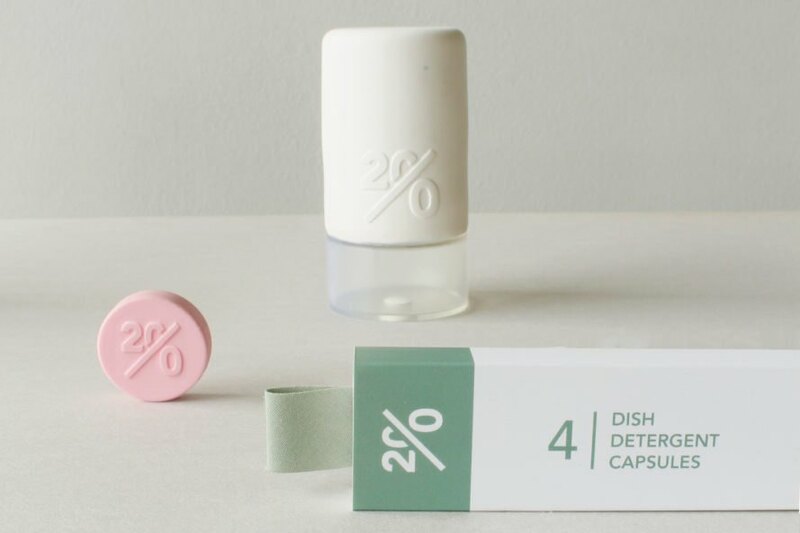 This year’s winner, Twenty, sets out to cut down the environmental costs of packaging and shipping household products, like shampoos or cleaners, by offering dry capsules and reusable containers — just add water, and the items are ready for use. Considered to be the largest creative festival in the Middle East, Dubai Design Week takes place at venues throughout the city, with the central hub of the festival being in the Dubai Design District. The competition’s coveted Progress Prize celebrates the next generation of design talent while recognizing the impact of design on society and the environment. 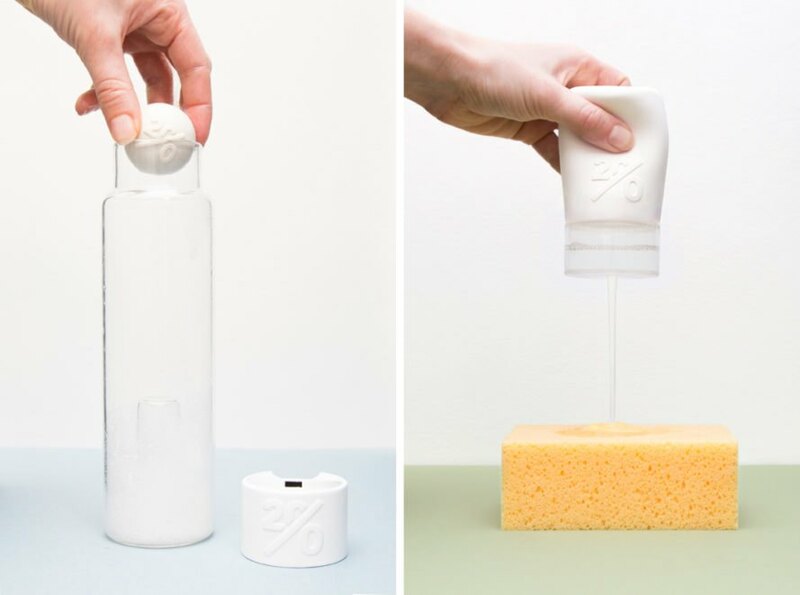 This year, the competition announced Twenty — designed by Mirjam de Bruijn from the Design Academy Eindhoven in The Netherlands — as the winner of the Progress Prize for a collection of dehydrated household products designed to reduce waste and unnecessary emissions by eliminating water content. Judges chose Twenty from 150 selections that came from all over the world, which they then shortlisted to 11 finalists. 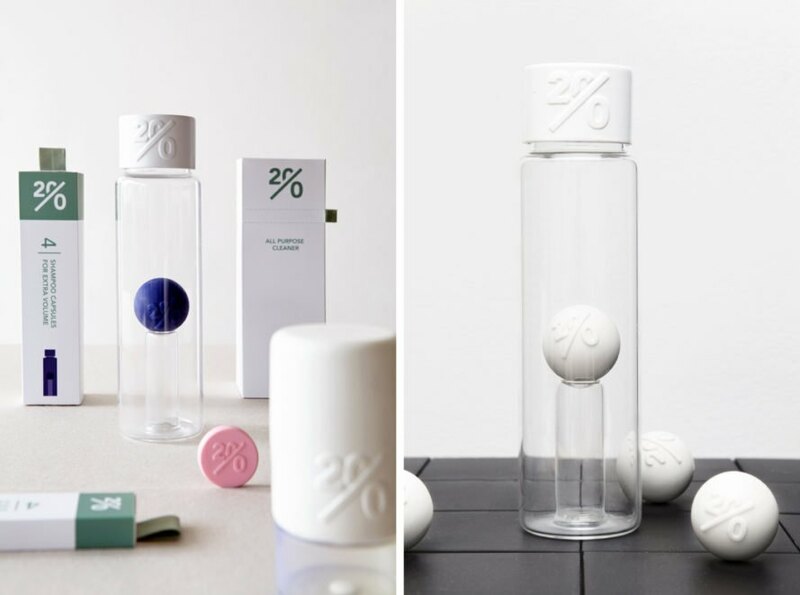 Since most everyday cleaning products contain at least 80 percent water, Twenty proposes to eliminate the waste and simplify production and transportation with a capsule that you can put into a bottle, add water and then shake to create a cleaning liquid that is just as effective as a store-bought option. “I designed Twenty for people like myself who really want to be sustainable but also have busy lives and need products that are simple, economical, easy to use and fit into their lifestyle,” said de Bruijn. She added that she wants Twenty to be the new standard in household cleaning products, and she is working closely with the university to refine the product while talking to producers and retailers to adopt the perfect strategy for bringing it to market. Brendan McGetrick, the director and curator of the Global Grad Show, said that Twenty is exceptional because it is based on a smart analysis of something that we all need and take for granted. Twenty, designed by Mirjam de Bruijn from the Design Academy Eindhoven, has won the Progress Prize at Dubai Design Week. The project is comprised of dehydrated household cleaners and reusable bottles. 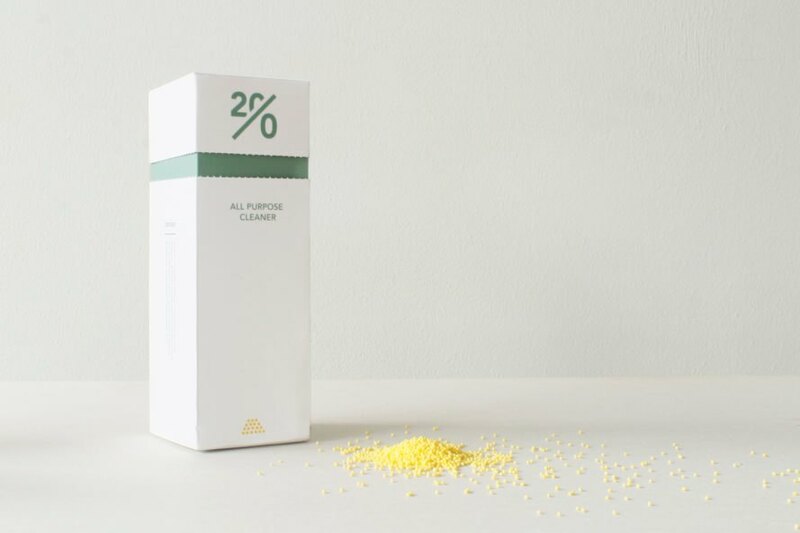 Twenty proposes to minimize production, packaging and shipping waste of household cleaners. Simply drop the capsules into the reusable bottles, add water and shake. De Bruijn is working with the university to improve the product with hopes of putting it on the market.